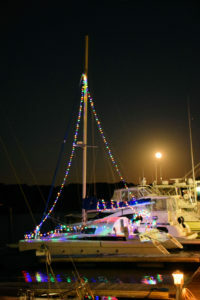 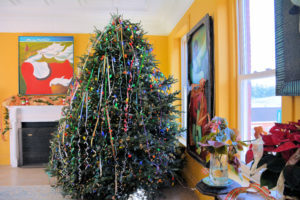 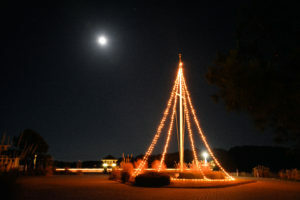 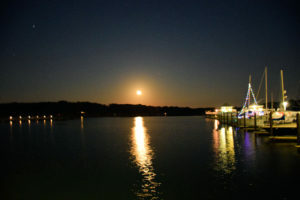 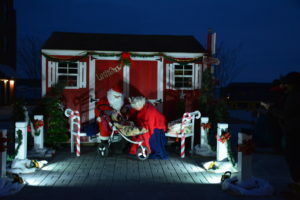 Happily, there is still one more chance to experience a “Festive Friday” in Cape Charles this season ! 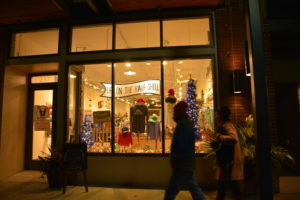 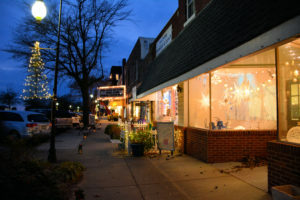 Still one more chance, on December 22nd, to enjoy the beautiful and cheery shop windows along Mason Avenue and down Strawberry Street, all dressed to the nines for the holidays. 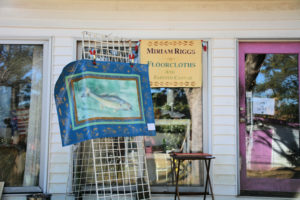 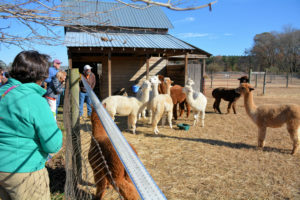 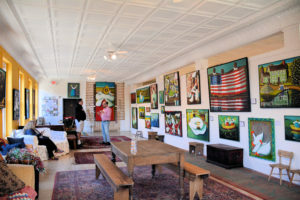 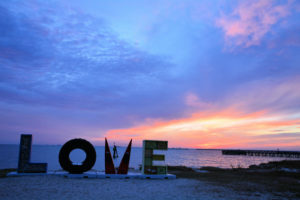 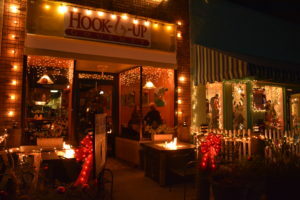 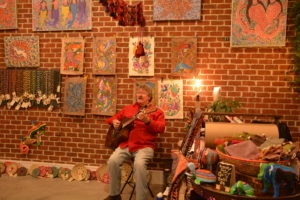 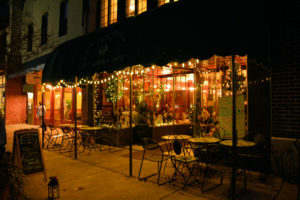 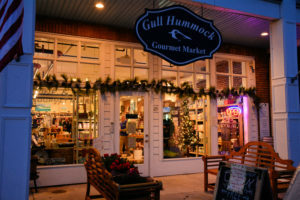 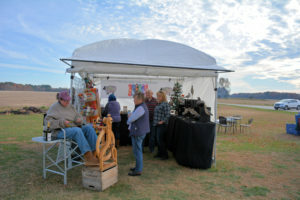 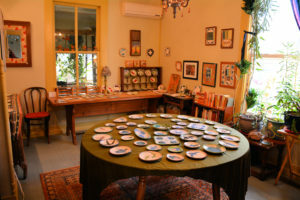 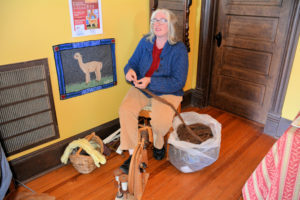 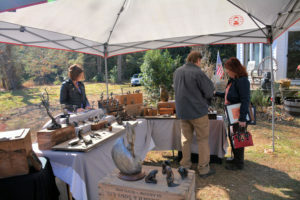 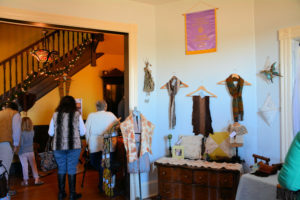 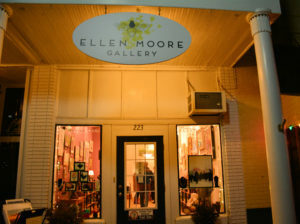 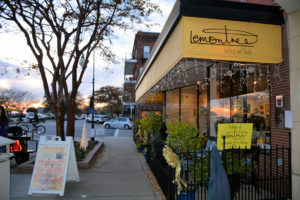 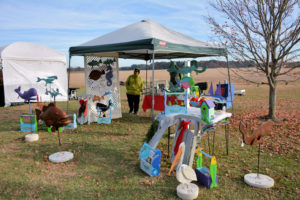 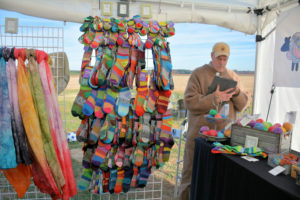 Maybe shop for a unique piece of art at Lemon Tree or Ellen Moore Gallery, enjoy a savory gourmet dinner at Hook-U-Up or a steaming cup of hot chocolate at the popular Cape Charles Coffee House, sample the smooth balsamic vinegars at Drizzles, select your New Year’s Eve champagne at Gull Hummock, visit with a friendly agent at Blue Heron Realty, browse the gift shop at the beautiful, newly re-opened Northampton Hotel, check out the international offerings from Voiajer, take a horse and carriage ride and so much, much, much more ! 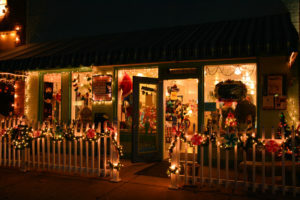 You might even take time to drop in at the “North Pole” to tell Santa or Mrs. Claus ( aka the ever-effervescent Trina Veber ) what you want, what you really, really want, for Christmas this year ! 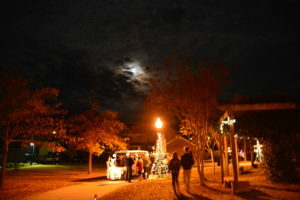 And so, Merry Christmas to all and to all a Goodnight ! 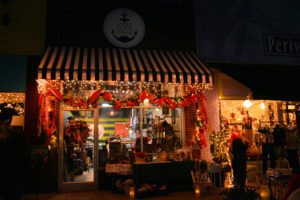 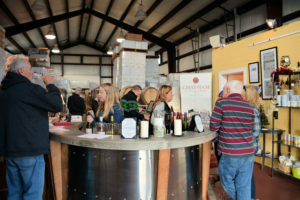 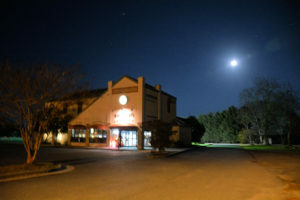 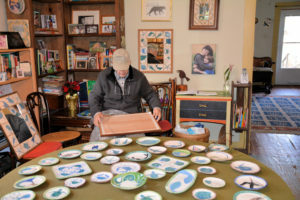 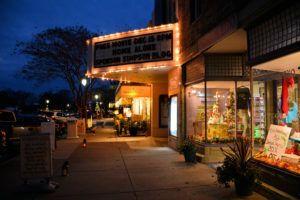 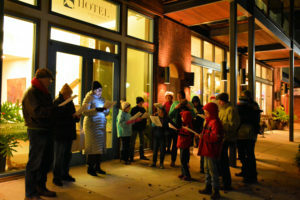 If you’ve never, ever been to a “Festive Friday” in Cape Charles, you probably don’t realize that it is so much more than just a few merchants staying open late each Friday evening between Thanksgiving and Christmas. 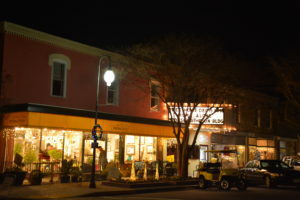 At its heart, it is the culmination of the hopes, dreams, efforts and financial investments of a myriad of individuals, businesses and organizations who believed that Cape Charles could rise like a Phoenix from the ashes of its post-ferry, post- railroad, essentially “post-everything” economic doldrums and become, once again, the dynamic little coastal town of its yesteryear, with well cared-for homes and bustling shops, a spirit of civic pride and a sense of fun. 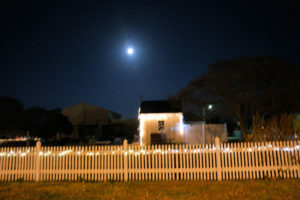 And not to get too, too sentimental, but when you think back to the near-derelict homes throughout town and the boarded-up stores along Mason Avenue that were still in existence even 5 years ago ( farewell McCrory’s and BeLo, hello Strawberry Station), the Cape Charles transformation from down-at-heel to sparkling restoration is truly inspiring. 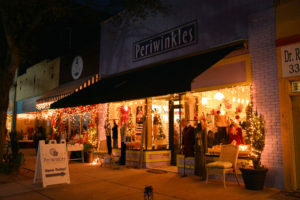 So “Festive Friday” is the actualization of those aspirations rolled into 2017, into lots of happy folks strolling down the street at 8 pm on a windy, cold December Friday evening, beautifully decorated shops serving smiling customers, clever street performers doing their entertaining thing, lively songs of the Christmas carolers, horse-drawn carriage rides, delicious gourmet dinners and free holiday movies at the Palace Theatre. 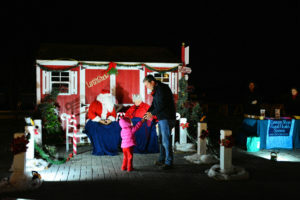 And, of course, Santa and Mrs. Claus, greeting excited little kids eager to shyly whisper their Christmas wishes. 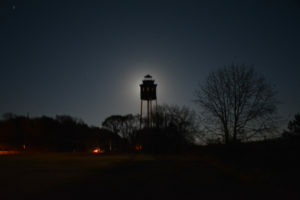 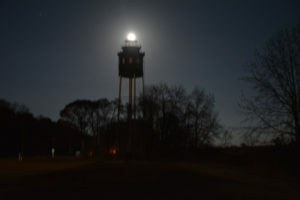 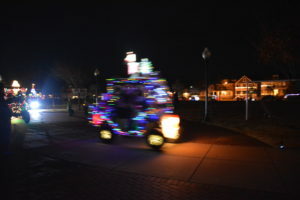 “Festive Friday” is truly like a 1000 points of new light, illuminating historic downtown Cape Charles, amazing and wonderful!! 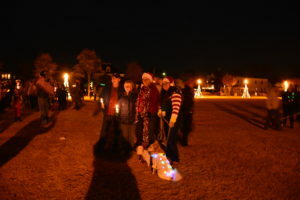 The 2017 Annual “Grand Illumination” kicked off the official start of the holiday season in Cape Charles, VA last Saturday evening with the 7th Annual “Grand Illumination” in Central Park. 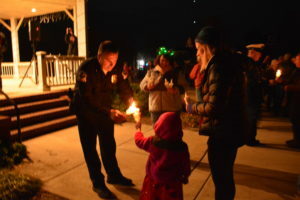 This community event was originated in 2010 by Citizens for Central Park and was hosted for many years by Chris Bannon of Sea Gate BnB ( aka Mr. Cape Charles ) as its delightful Master of Ceremonies. 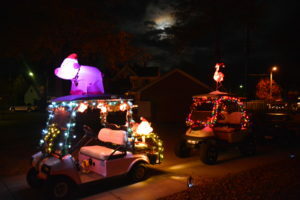 A newish addition to these festivities, the “Golf Cart Parade”, started just a few years ago with 11 participating carts. 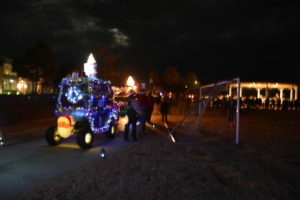 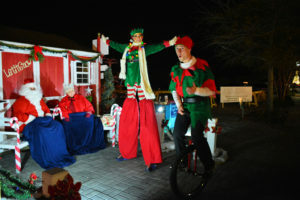 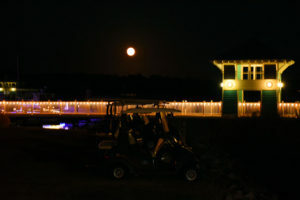 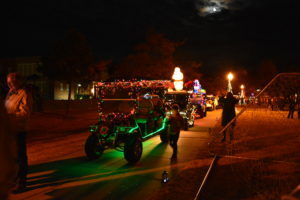 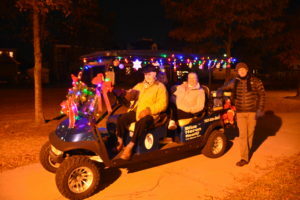 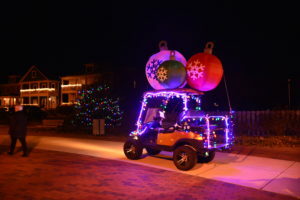 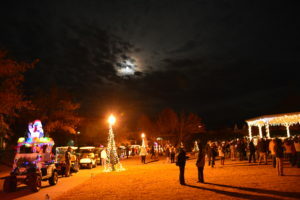 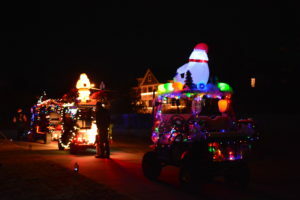 It grew and grew into this year’s dazzling parade of 33 golf carts, all gussied up, resplendent with lights and ornaments, smiling drivers and laughing passengers. 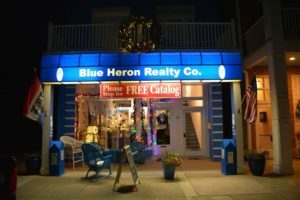 Happy to note that Blue Heron Realty’s cart participated again this year for a 2nd time – – looking good, Blue Heron guys and gals ! 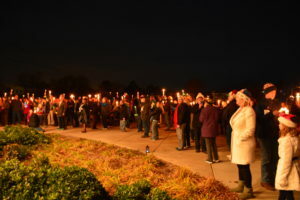 By tradition, Christmas carols were sung by the gathered crowd, candles were lit and held aloft by the audience in memory of loved ones, hundreds of points of light, quite beautiful piercing the darkness of Central Park. 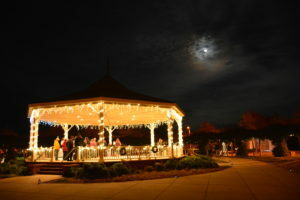 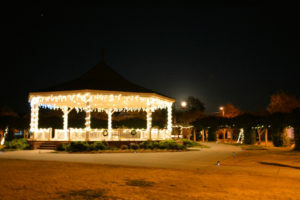 And then, with a flip of a switch by the Mayor, thousands of lights on the Gazebo and on all the Park’s trees glowed brilliantly in the dark, a very Grand Illumination ! 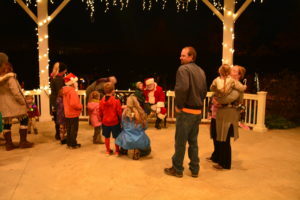 Afterwards, a jolly Santa Claus took Christmas requests from dozens of children whose heads would soon, no doubt, be dancing with visions of sugarplums. 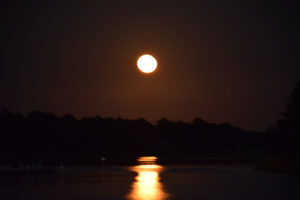 All this made cheerier under a bright moonlit sky, almost but not quite, the vaunted Super Moon, but very special nevertheless. 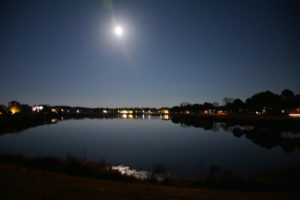 By the way, soon, another Skywatchers delight ! 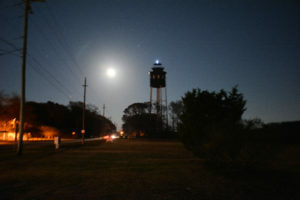 A Blue Moon is coming – – In just a few weeks, the two Super Moons of 2018 will both take place in January, on the 2nd and 31st. 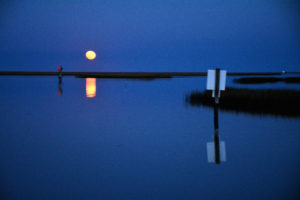 The Moon on the 31st will be a “Blue Moon” as it is the second full moon in a calendar month. 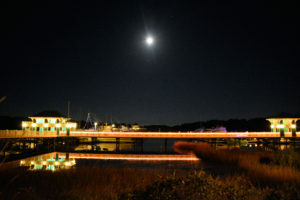 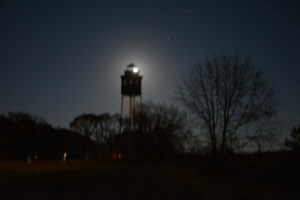 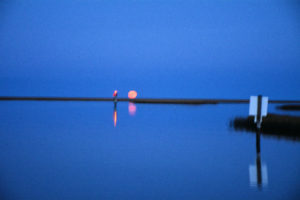 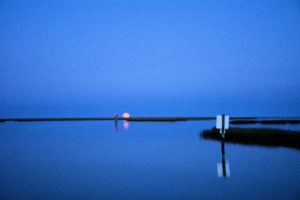 So, once in a blue moon … get ready to “croon love’s tune” to your honey by the light of these two silvery Super Moons ! 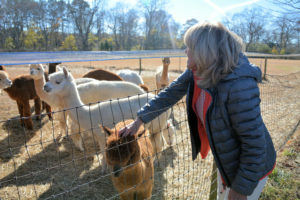 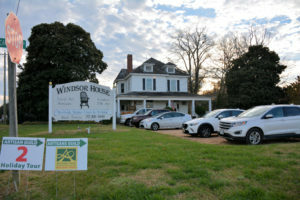 You are currently browsing the Life and Real Estate on the Eastern Shore of Virginia blog archives for December, 2017.